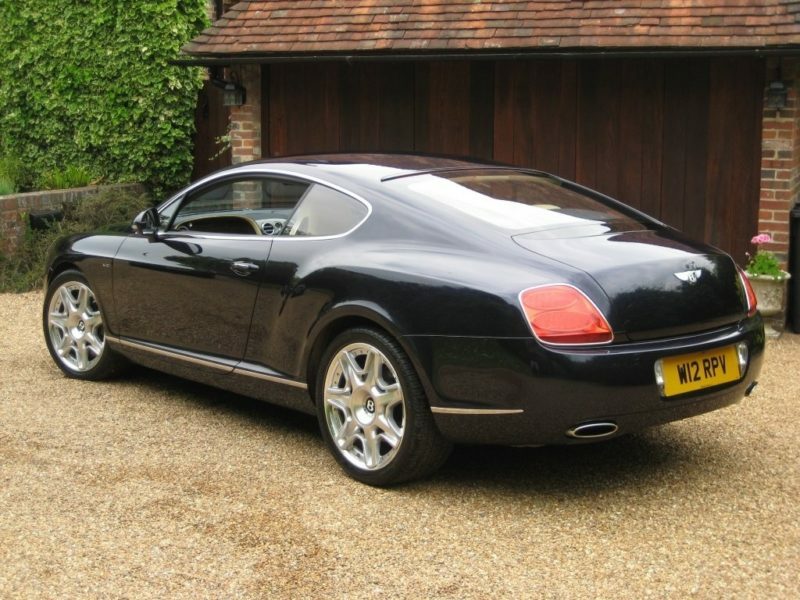 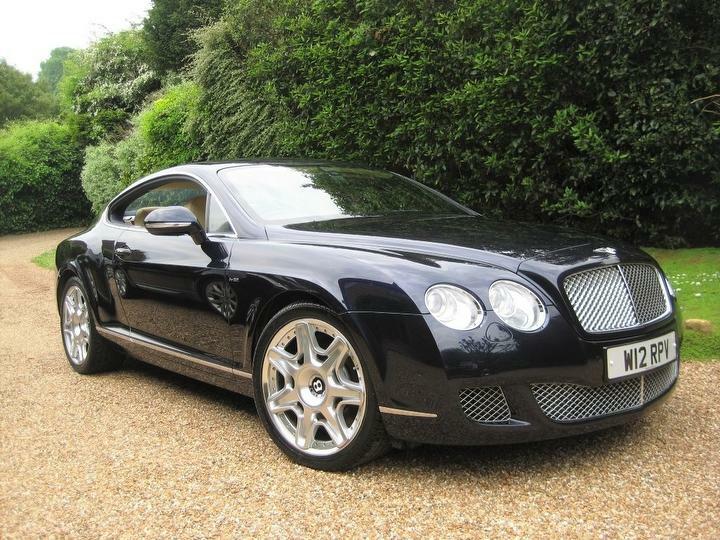 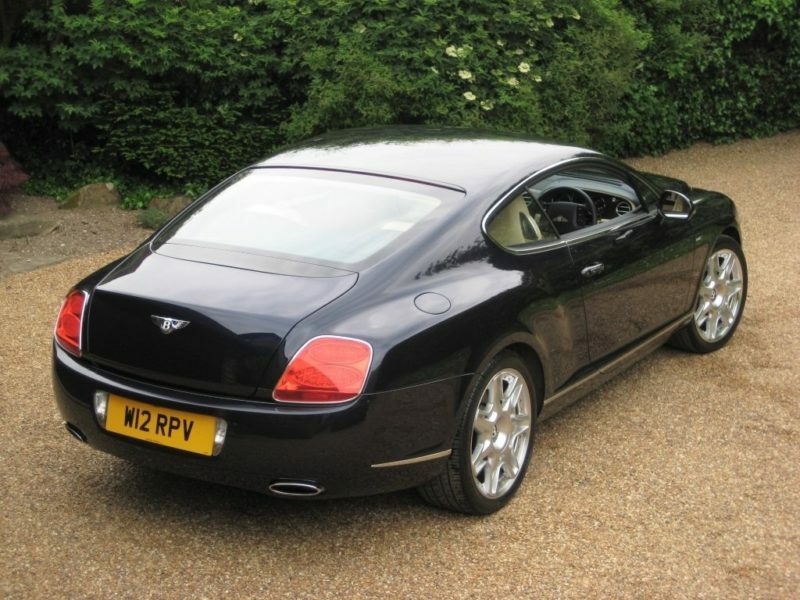 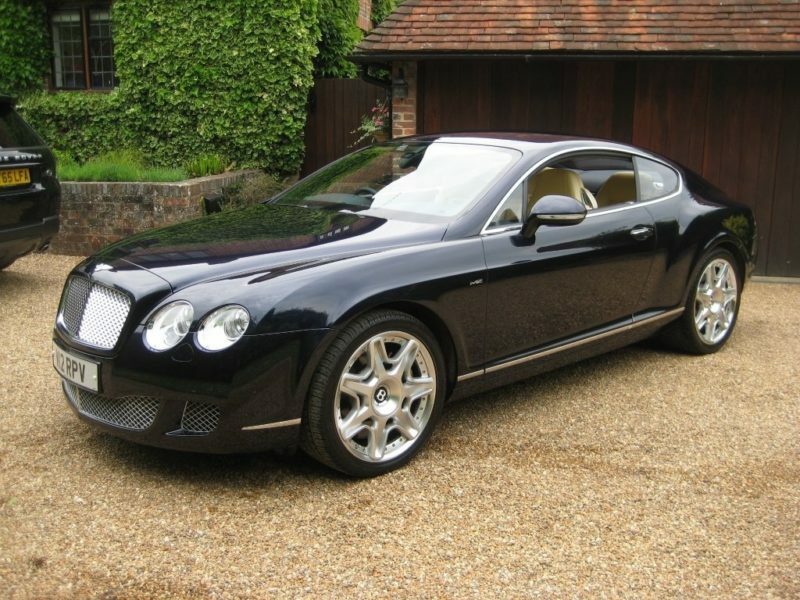 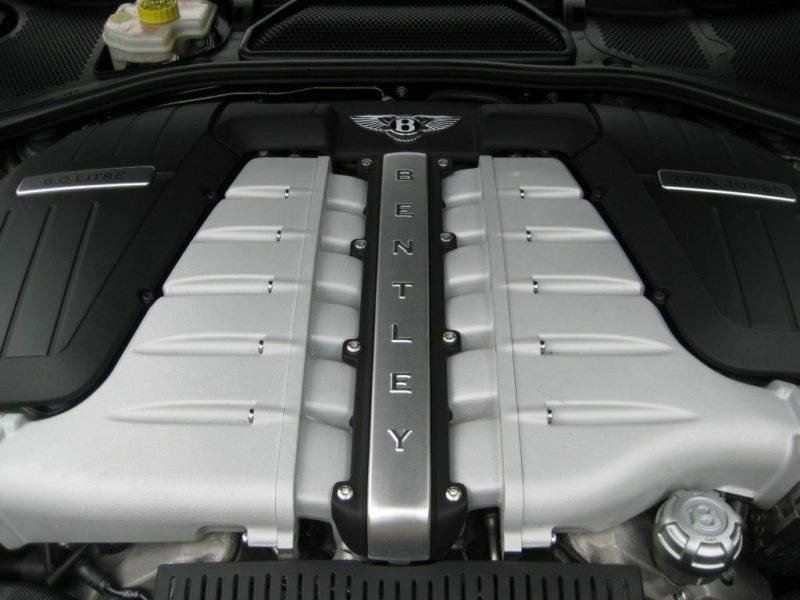 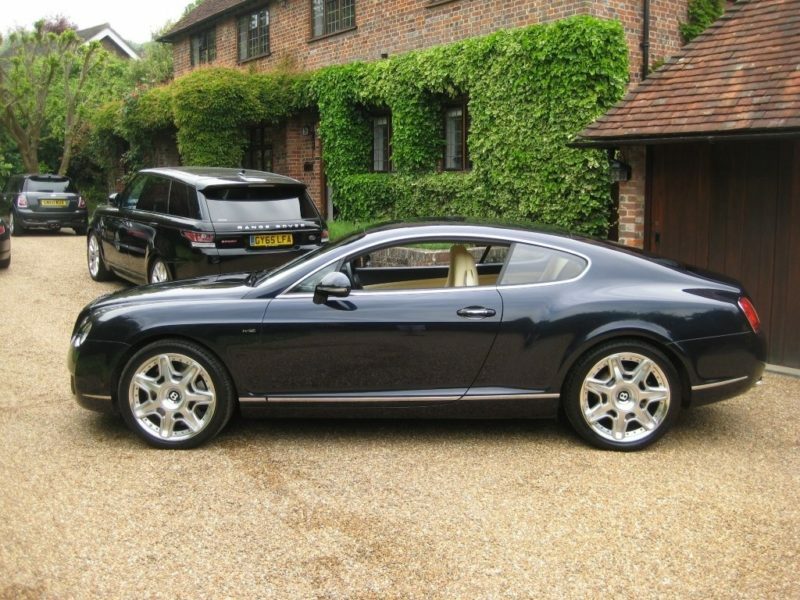 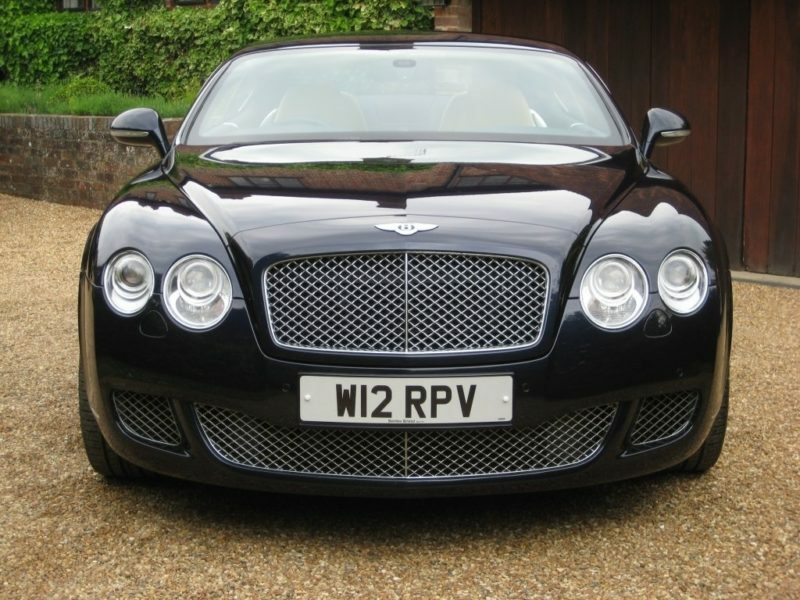 JUST 10,000 MILES FROM NEW WITH ONLY 2 P/OWNERS + FULL BENTLEY MAIN AGENT SERVICE HISTORY. 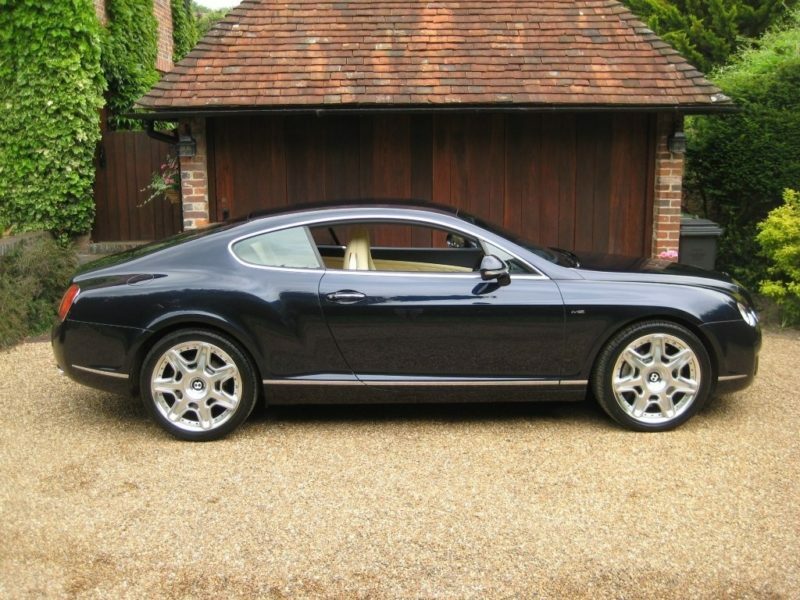 Finished in Dark Sapphire Blue Metallic with unmarked Magnolia main hide over Imperial Blue secondary hide and contrast stitching. 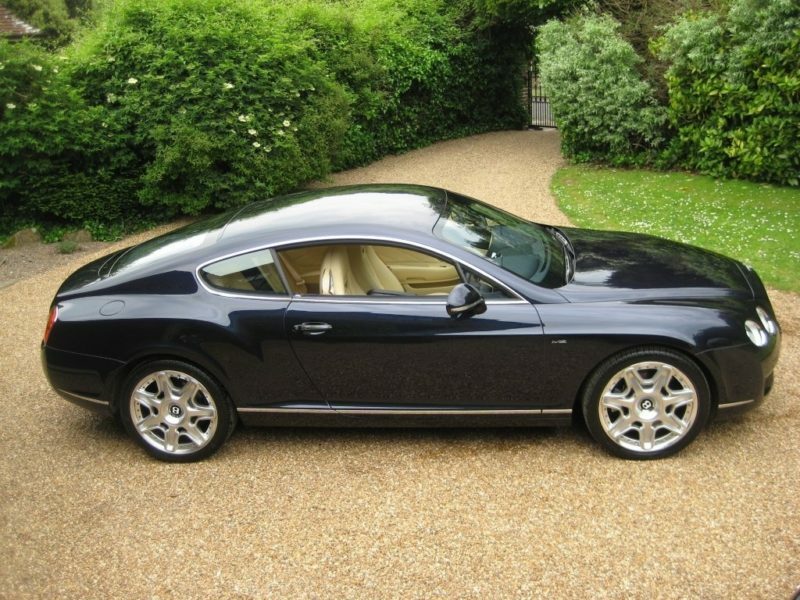 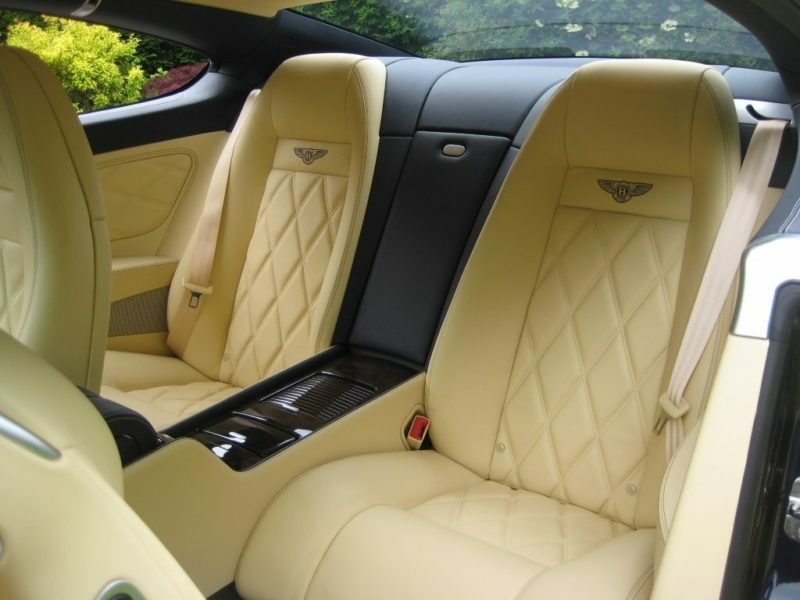 Specification includes ‘Mulliner Driving Spec’ with full diamond quilted leather including door & rear quarter panels, embroided ‘Bentley Wings’ seat emblems, dark burr walnut veneer, indented magnolia hide headlining, sports gear lever in chrome & leather, drilled alloy sports pedals & unmarked 20″ 7-spoke two-piece alloy sports wheels. 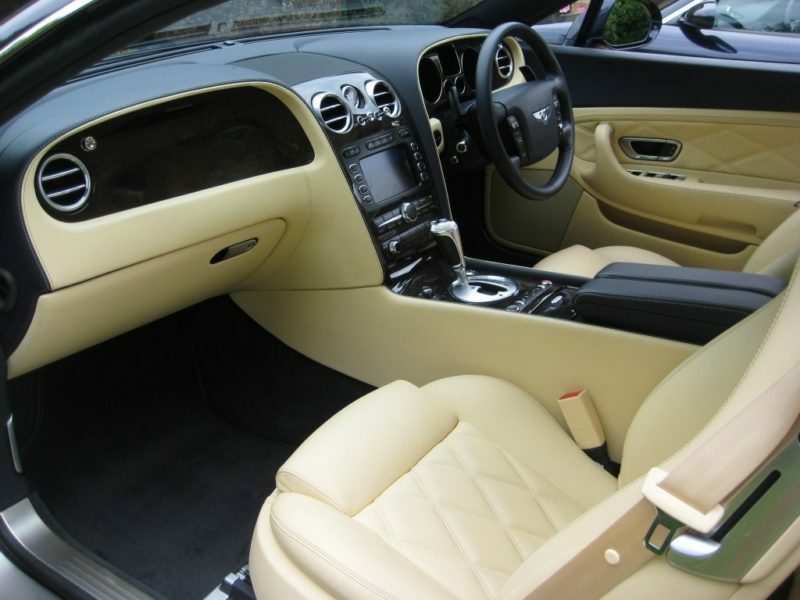 Convenience pack with front seat lumbar massage function, valet parking key, bluetooth telephone system with privacy handset, rear view reversing camera (in addition to front & rear park distance control) + power boot opening & closing. 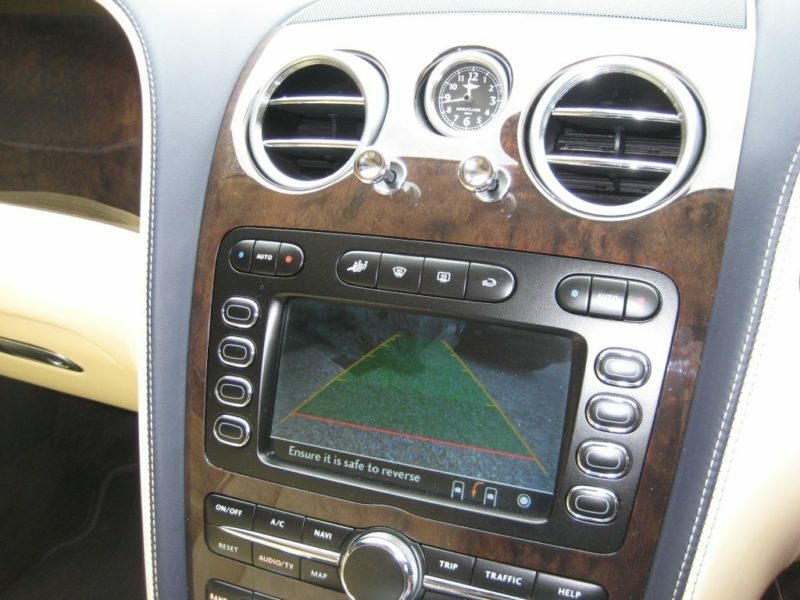 Satellite navigation system, telephone voice control, iPod interface linked to infotainment system, keyless entry and start/stop button, soft close doors, 14 way electric heated front seats with 3 memory function, 10 speaker multi-channel sound package with 6 disc CD auto changer, Bentley GPS tracking system, climate, adaptive cruise control, auto dimming rear view mirror, electric folding memory mirrors, rain sensor with auto headlight activation, bi-xenon headlights, bright chromed radiator and lower bumper matrix style grilles, fitted Bentley carpet mats + Additional overmats etc. 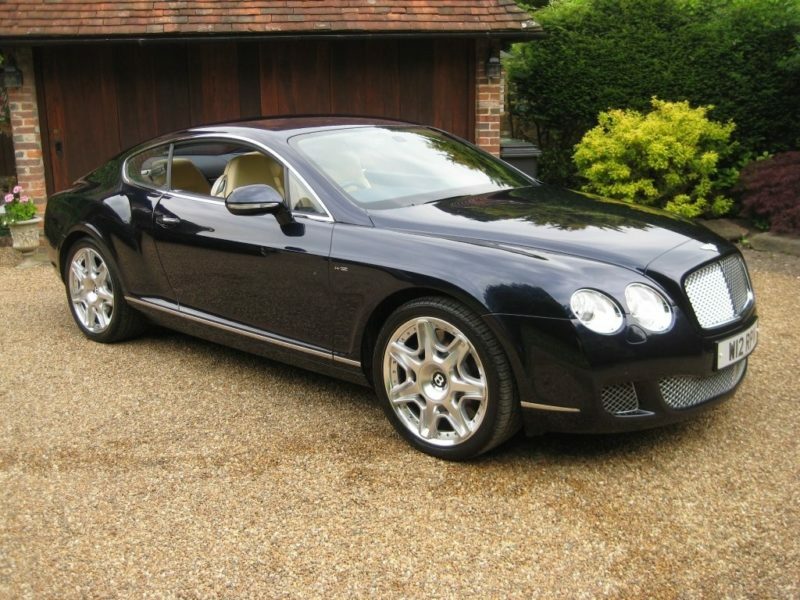 Supplied new and fully serviced every year by Bentley Essex (7 Bentley Essex stamps in the book). 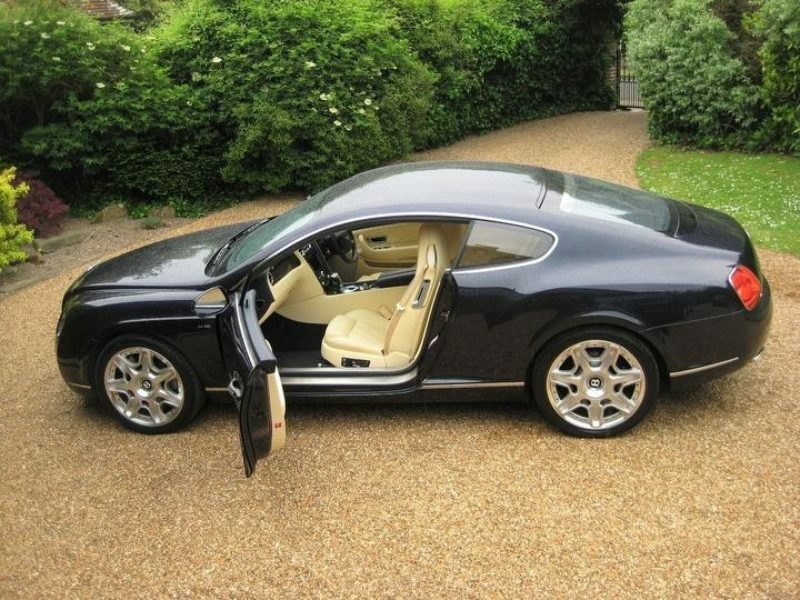 Complete with all books and keys. 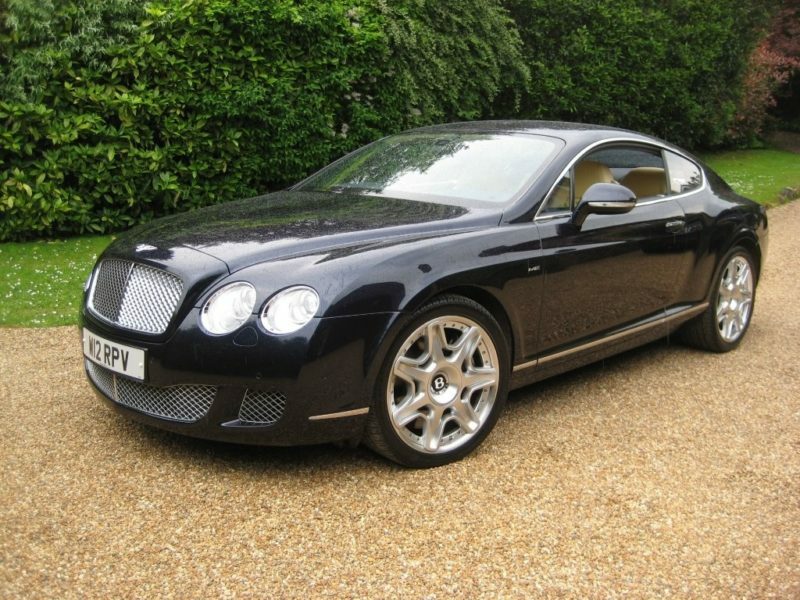 THIS IS AN ABSOLUTELY STUNNING LOOKING VERY LOW MILEAGE EXAMPLE FINISHED IN A BEAUTIFUL CLASSIC COLOUR COMBINATION WITH PERFECT BENTLEY MAIN AGENT HISTORY.